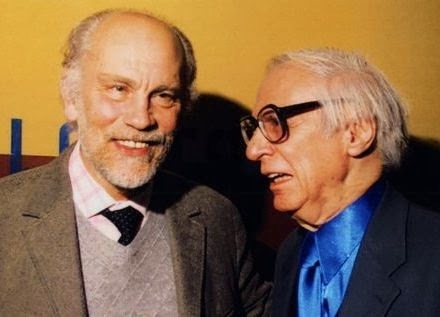 I recently watched the 2008 John Malkovich movie The Great Buck Howard, an affectionate tale of a once-famous mentalist relegated to performing at second-rate venues. In the closing credits, writer-director Sean McGinly states that his film was inspired by the career of The Amazing Kreskin. That brought back a bunch of memories! 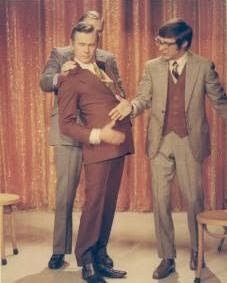 I remember when Kreskin was a regular on the talk show circuit in the 1960s and 1970s. And yes, I was one of the thousands of kids that had a Kreskin's ESP board game that the Milton Bradley Company introduced in 1967. To my surprise, a little research revealed that Kreskin is still performing today on shows such as Late Night with Jimmy Fallon. He has his own web page (www.amazingkreskin.com), a Twitter account, and a 2012 book called Conversations with Kreskin. 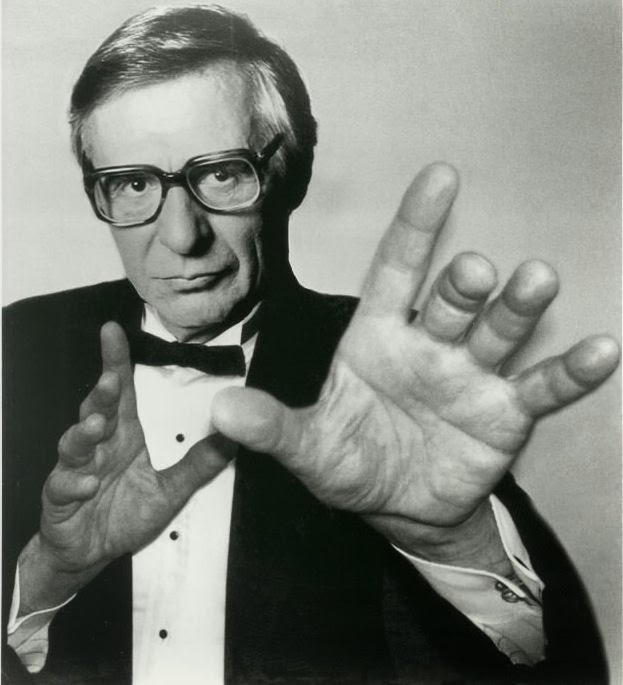 His 1972-75 TV series The Amazing World of Kreskin can be watched on Hulu. Kreskin was born George Joseph Kresge, Jr. in 1935 in Montclair, New Jersey. As a child, he displayed an uncanny knack for finding hidden objects. According to his publicity material, he gained national fame as a teenager as the "World's Youngest Hypnotist," which resulted in "his collaborating in psychological clinical studies extending into the realm of Parapsychology and the Power of Suggestion." He studied psychology at Seton Hall University and earned a bachelor's degree in 1963 (he has also been awarded an honorary doctorate). Still, for most folks who grew up in the 1970s, Kreskin is best-known for more than 500 TV appearances on talk shows such as The Mike Douglas Show, The Merv Griffin Show, and most famously, The Tonight Show. He performed on Carson's show 88 times according to the Post article. Kreskin has even suggested that he was the inspiration for Carson's character Carnac the Magnificent. Kreskin's career hasn't been without controversy. In 2002, he predicted there would be a mass UFO sighting over Las Vegas on June 6th and promised to donate $50,000 to charity if it didn't happen. When there was no mass sighting, Kreskin explained that it was an experiment intended to show the power of suggestion and how it could be manipulated by enemies of the Free World. He later compared it to Orson Welles' radio broadcast of The War of the Worlds. His critics, though, hailed the Las Vegas prediction as a publicity stunt. 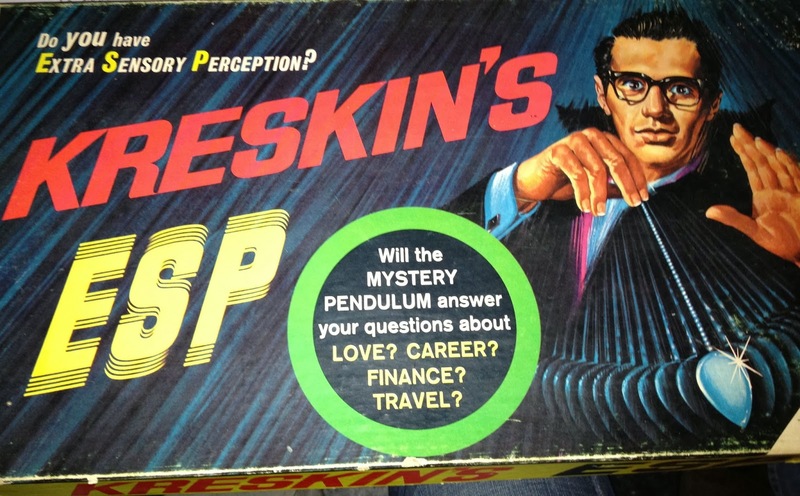 By the way, I no longer have Kreskin's ESP board game, but remember it fondly. Part of the "game" consisted of another player holding a card with a symbol or colored dot on the back of it. The objective was to predict what was on the card. There was a scale that explained one's level of ESP based on the number of correct answers out of 25 cards. Sometimes, I might get seven or eight correct--which I think indicated I had some extra sensory perception. Unfortunately, though, I didn't have enough ESP to carve out a career as The Amazing Rick. "Isn't that wild?" Kreskin's catchphrase that I'm pretty sure he lifted from Johnny Carson. Well, I think you are the "Amazing Rick" in other ways than ESP! I remember Kreskin well -- as a kid I thought he was so lucky to have those powers and wished I could do that too. Really enjoyable look-back at a childhood favorite! That ESP game looks like a ton o' fun! The cover is too good to pass up.